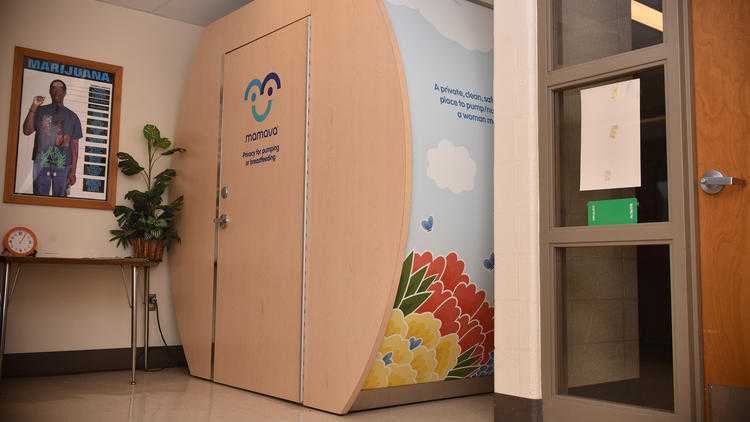 South Mountain Middle School in Allentown has a Mamava lactation suite. It's located against a wall in the health room. The nursing mothers lactation pod serves as a private, quiet and comfortable place for faculty members who are currently breast feeding to pump away from home. The enclosed mamava nursing pod is 4 foot by 8 foot and has a bench, a lock on the door, a mirror, a fold-down table to change diapers, an outlet for a breast pump and enough space for a stroller.